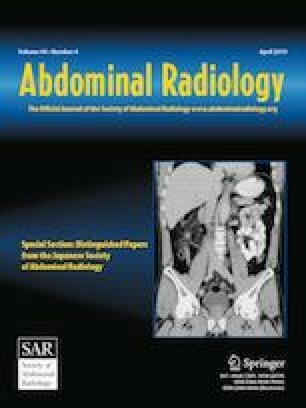 To review the pertinent anatomy and the imaging features of common and uncommon benign and malignant neoplasms and masses of the ischiorectal fossa. The ischiorectal or ischioanal fossa is the largest space in the anorectal region. The benign neoplasms that develop in the ischiorectal originate from the different components that forms the fossa including vascular tumors such as aggressive angiomyxoma or hemangioma; neural tumors as plexiform neurofibroma or schwannoma; fat tumors as lipoma; skin/skin appendages tumors as hidradenoma papilliferum; smooth or skeletal muscle tumors as solitary fibrous tumor. The malignant neoplasms that develop in the ischiorectal fossa also originate from different components that forms the fossa including vascular tumors such as angiosarcoma, neural tumors as malignant granular cell tumor and malignant peripheral nerve sheath tumor; fat tumors as liposarcoma; smooth or skeletal muscle tumors as leiomyosarcoma, rhabdomyosarcoma, malignant PEComa, or undifferentiated pleomorphic sarcoma. Additionally, the ischiorectal fossa can also harbor secondary hematogenous metastases and be affected by direct invasion from neoplasms of adjacent pelvic organs and structures. Furthermore, other miscellaneous masses can occur in the ischiorectal fossa including congenital and developmental lesions, and inflammatory and infectious processes. Knowledge of the anatomy, and the spectrum of imaging findings of common and uncommon benign and malignant neoplasms of the ischiorectal fossa is crucial for the radiologists during interpretation of images allowing them to make contributions to the diagnosis and better patient management. This article has been selected as the CME activity for the current month. Please visit https://ce.mayo.edu/node/82514 and follow the instructions to complete this CME activity. We thank Kelly Kage, medical illustrator at MD Anderson Cancer Center for the illustration provided in this article. The authors declare that they have no disclosure or conflict of interests. No IRB approval was required.